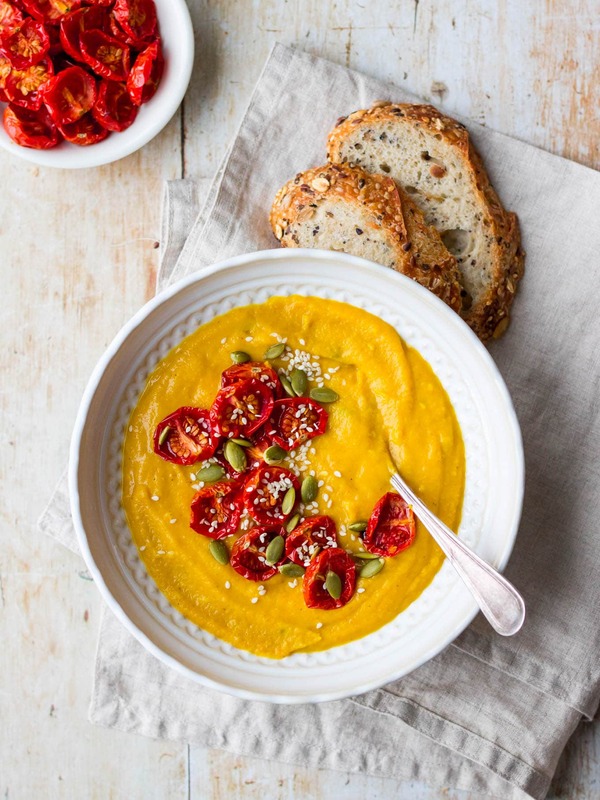 Successfully saved Cauliflower, Sweet Potato and Red Lentil Soup to your Calendar. You can also save the ingredients to your Grocery List. This cauliflower, sweet potato and red lentil soup is so thick, creamy and satisfying! Jam packed with veggies plus red lentils for protein. The lentils cook super quickly and everything gets blended together to make a hearty soup! Gluten free and vegan.